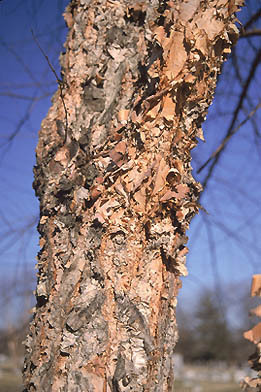 Attractive salmon-pink bark on young trees exfoliates to expose cinnamon-brown bark. Adapts well to moist soils. Can tolerate locations which flood in spring and dry up in summer. Native to river banks and flood plains. Resists insects and disease much better than other native birches. NATIVE.